Cartoon Pterodactyl | Winged giants of the prehistoric skies! As we’re rumbling through Jurassic June, I felt we needed to add some variation to our dinosaurs with a cartoon Pterodactyl. 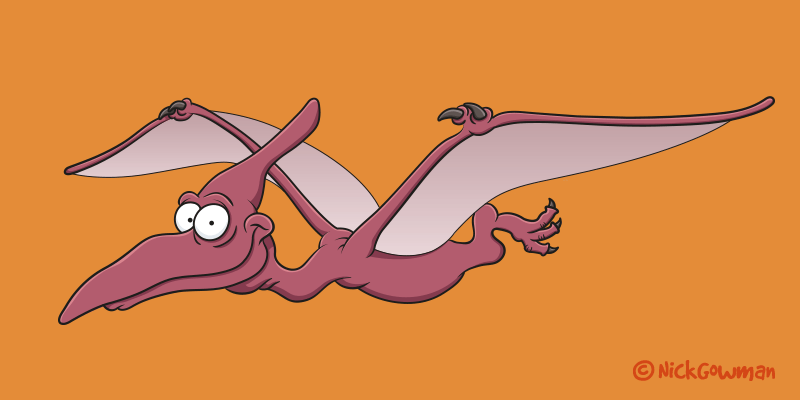 Why choose to do a cartoon pterodactyl? Not strictly a dinosaur, but is synonymous with what we have in mind when we think of prehistoric times. This particular pterodactyl is actually based on one of the larger species, known as Pteranodon. Pteranodon had a wingspan of over 6 metres and due to a large toothless beak, fed on fish. They lived primarily in North America during the late Cretaceous period. There were many varieties of pterosaur that roamed the skies of the Mesozoic era. I’ve included a few more for you below! Another giant of the prehistoric skies was the Feilongus. Feilongus basically translates as ‘flying dragon’ – quite apt when you consider his appearance! This Pterosaur had two crests on it’s skull – one long and low one in the middle of it’s snout and a second projecting from the rear of its head. With a wingspan the width of a small aircraft, Quetzalcoatlus must have been an impressive sight some 70 million years ago! This Pterosaur had an unusually long, stiffened neck. Its name comes from the Mesoamerican feathered serpent god, Quetzalcoatl. 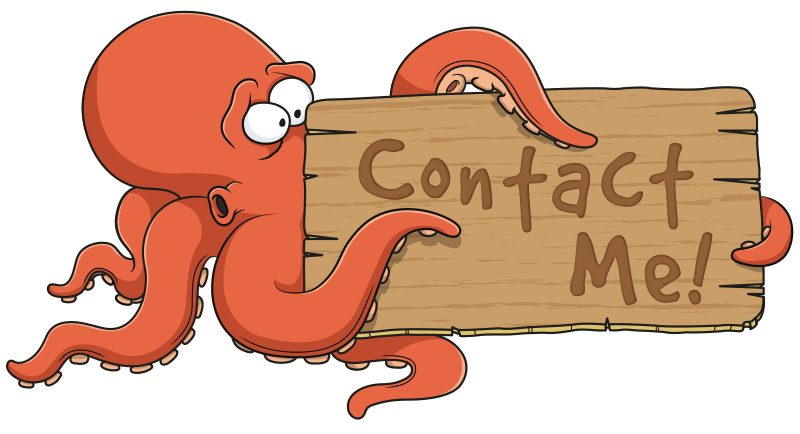 Do you need any cartoon dinosaurs or prehistoric creatures? These are always great fun to draw and I’d be more than happy to draw some for you!